Visit www.bestgames.pk to play this free adventure game: Regular Show Tree House. You are supposed to control the thief to steal things from the house. Move the thief with the arrows. Turn somersault by combo arrows. Press the space bar to enter a room. Space bar is also available for stealing things. The red bar represents your HP. Avoid the weapons thrown by the guards and do not get caught! Enjoy yourself here! Hey ladies, Cinderella's life is hard she lives in the house of she's stepmother with two stepsisters, and all the hard work of the house is made just by her. 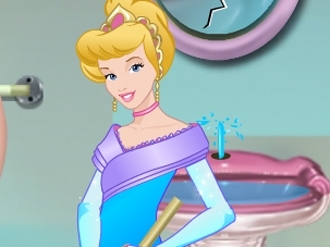 In this game the bathroom is full of bacteria, the sink is dirty with limestone and the pipe is broken, the bathtub is clogged, toilet is full with bacteria and microbes, and Cinderella is forced to clean the bathroom until the arrival of evil stepmother. Help the beautiful Cinderella to clean the bathroom and avoid arguing with evil mather. Good luck! The puzzle game Treehouse Hero is very interesting. Your task is to kill all the aliens to protect the home. Every level latter is a bit more challenging than the previous ones. But also, there would be more skills. The more enemies you kill, the more bonus you can get. Direct with your mouse, left click to jump to kill enemies. Come to www.bestgames.pk and play it. I am sure that you are the very hero we are looking for! 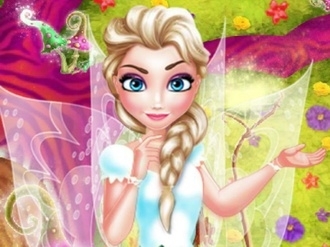 Have a lovely time in this Elsa fairy room decoration game as she is waiting for you to start doing your fun job. Clean up the house and then start decorating it with the loveliest furniture you can find.